Donating goods is easy! Click on SHOP NOW to purchase the toys you would like to donate. You will be emailed a tax receipt at the time of purchase. 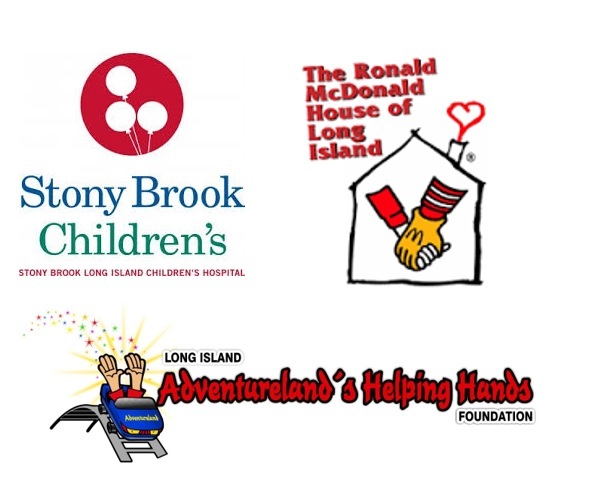 At the end of the drive all goods ordered online will be shipped directly to Adventureland's Helping Hands Foundation, who will deliver the toys to kids at Stony Brook & Ronald McDonald House! July is a perfect time to donate toys--each newly admitted child at Stony Brook Children's Hospital and the Ronald McDonald House are given a toy, so supplies often run low in the summer! Thank you for your support! Your contributions will strengthen our community by helping others in need.